A beauty blog, somewhat more so than other types of blogs, must present itself in an immaculate and attractive way, given the nature of what is being discussed. Most people who get started with a beauty blog are usually experts in their field, but less so when it comes to tech, just like the rest of us. Of course there will be one or two beauty bloggers who know their way around the backend of a website, but for those who don’t there are only two options. The first option is to go it on your own, reading through forums to get advice and help on creating your site, the alternative is to use a professional to get the job done, and here are just a few benefits of choosing the latter. You want the focus of your beauty blog to be high quality content and expert advice, dedicating your time to web design therefore, will only serve to take time away from doing what you do best. Furthermore, using a professional web design service, can ensure that your site is designed to your requirements, and completed to a very high standard. Professionals offer work which many struggle to achieve alone. Unfortunately we live in a world where first impressions are key, which is why you need to have a blog which looks as good as the content reads. Even if you are the greatest beauty blogger on the planet, with tips and tricks which will change the way that people think about beauty forever, if your website isn’t up to scratch, nobody will even read your content, as they will have already left the page. Even those without tech knowledge or knowledge of websites can create a web page using some of the CMS on the market, but that will only be from an aesthetic point of view. People coming to your website not only want to see a sleek and stylish design, they also want to be able to use your site with ease. DIY websites often suffer from slow performance or even crashing because of the plug-ins or extensions which have been used. 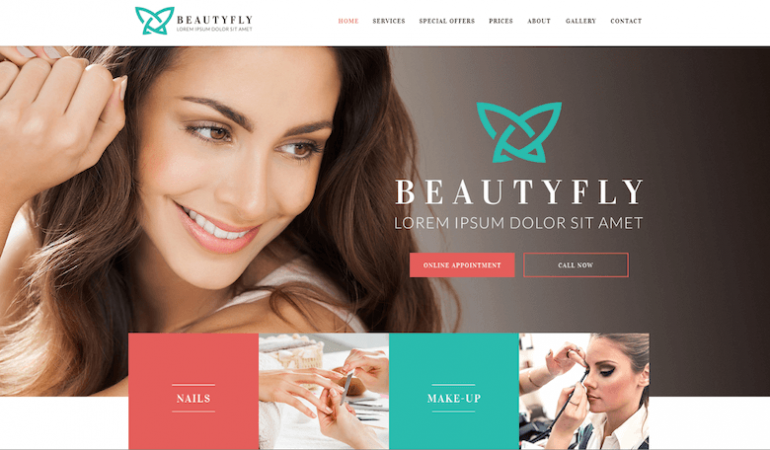 When you use the services of a professional web designer for your beauty blog, you can count on the usability being perfect, keeping your visitors happy. When you use a professional web design service you can also count on plenty of after care support, for any further needs which you have or should anything go wrong. It can be difficult to identify issues on your site if you have designed it yourself, whereas these experts will know your site inside out, and therefore be able to tweak and issues as soon as possible, to ensure that your blog doesn’t suffer. To make sure that your beauty blog actually looks beautiful, make sure that you use the professionals.